This is how Merriam-Webster defines Thanksgiving. In the US, this holiday is celebrated the fourth Thursday of November. There’s also Friendsgiving, which is the celebration of Thanksgiving with friends. No matter which one is celebrated, food is at the center. Food is communal and having a meal with loved ones makes it more personal and fulfilling. When you have a group of people for events, you have a variety of palettes and eaters (where are my picky eaters at? ??). Some of them have dietary restrictions. Luckily for you, I’m about to provide you a full Thanksgiving/ Friendsgiving menu that’s gluten-, dairy-, & soy-free. 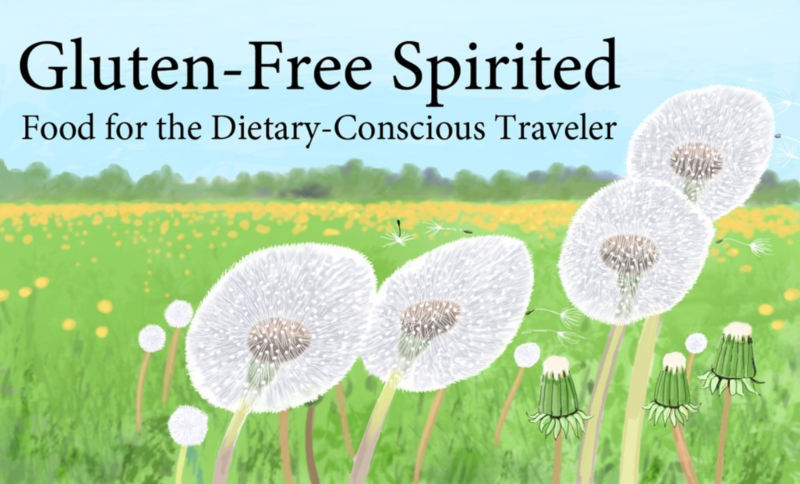 Cheap plug: sign up for my mailing list to receive a FREE Beginner’s Guide to Dietary Restriction Friendly Essentials checklist. ? This is a menu of suggested items. All items have easy to follow directions on the packaging. These are products we use and recommend and are not affiliate links. 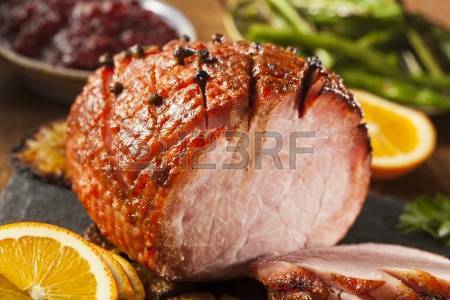 Even though turkey is the most popular meat dish, ham is often a fixture at the holiday food table. We actually aren’t big turkey eaters and have skipped turkey the last few years & stuck with ham. They never look like these stock photos, but still delicious. What’s a holiday meal without macaroni & cheese? Yes, you can still have it even if you can’t have dairy, thanks to Daiya. 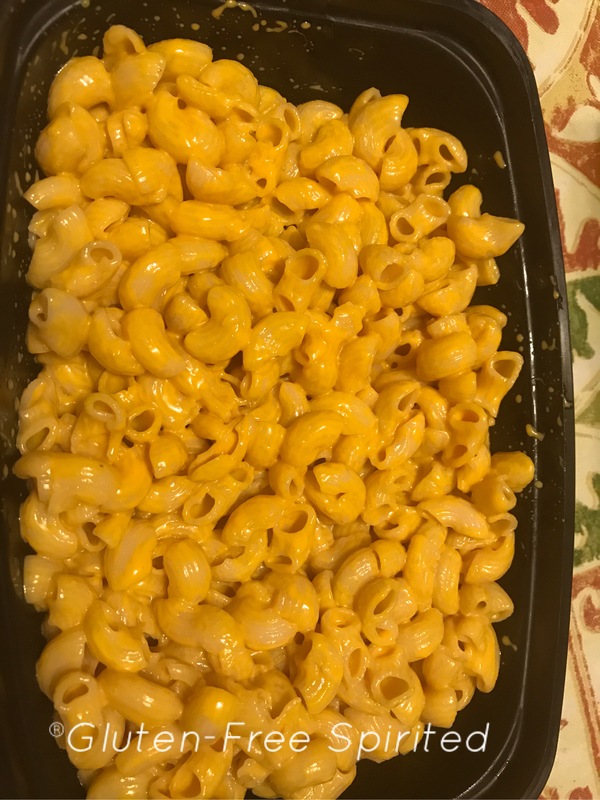 If you’ve been following this blog for a while, you may remember the entry I posted of Daiya’s Easy Cheezy Mac. Not only can you have mac and cheese, but you can also have mashed potatoes! *Monica Gellar voice* I. KNOW. All you need are potatoes, Just Mayo, Earth Balance Soy-free butter, salt, and pepper. Pro tip: For the mayo, put as much as you desire. There’s no specific amount. 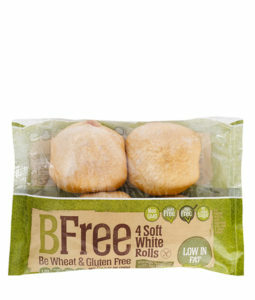 BFree Ciabatta rolls: This is a newer item that we’ve discovered. We’ve found it at Publix and Walmart now carries this brand. 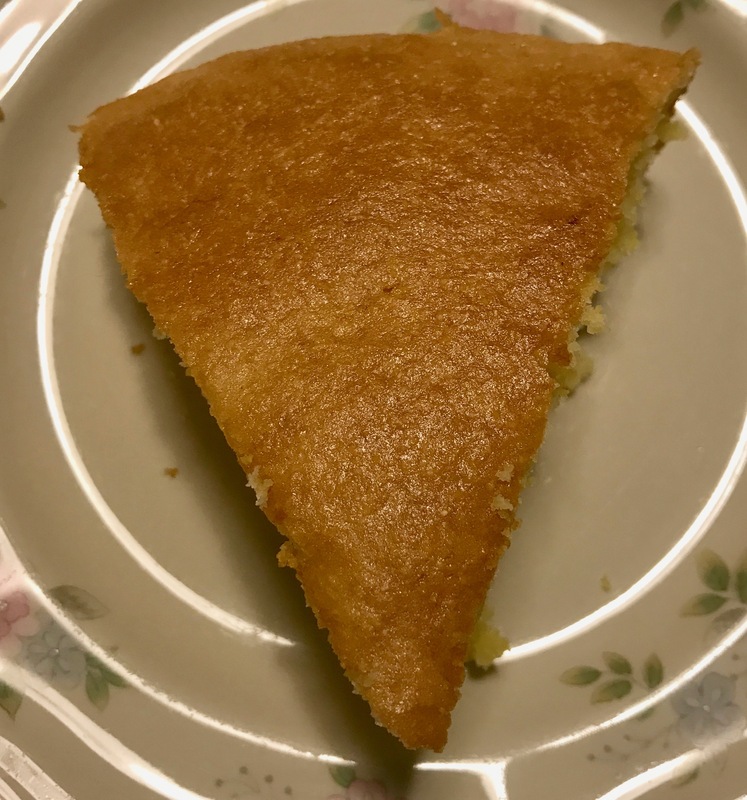 Cornbread: Cornbread is necessary for any holiday in the South. Try this recipe that we love. It’s so perfect and fluffy. Also on the Thanksgiving menu: collards, cranberry sauce, and (frozen) lima beans. It’s not a holiday meal without dessert! 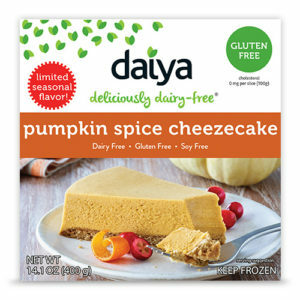 Daiya has a Pumpkin Spice Cheezecake to satisfy your craving. Bonus: it’s free of top allergens! Keeping with the pumpkin theme, I also have recipes for pumpkin muffins and pumpkin cupcakes. The icing makes it even better. If you’re hosting or attending a Thanksgiving/Friendsgiving dinner, let me know if you make any of these dishes and what you think! Hope you get stuffed! As always, sharing is caring! Don’t forget to follow GFS on social media! I have a friend who has strict dietary restrictions that keeps her from eating a lot of things. Even cake. So I am glad to see there are other options for people like her that let them enjoy a traditional meal. It can be very hard for normal daily meals, so the holidays can be even more challenging. It’s great to see more options for all types of diets. My sister loves Daiya’s plain cheesecake, so she’s been dying to try the pumpkin cheesecake. She went to get it a few weeks ago & they were sold out, so her plan is to go this week to see if they have it for Thanksgiving. Flavoring can definitely be tricky! I hope this can help you! Hopefully you can find an excuse to have a bunch of food like this. lol I love mac and cheese, but you have to be so careful with it. Healthier alternatives that still taste yummy are the best! This menu looks so wholesome. Can i come by for thanksgiving lol ? I’ve come across many recipes but none that have compiled the meal all in one place, which makes it 10x easier for planning. I thought it might be easier to put out a full menu so that people could plan accordingly. That pumpkin spice cheesecake looks good. I like Daiya stuff. It’s pretty high quality. We have about 25 people coming for Thanksgiving. I usually have everyone bring a dish that meets their dietary requirements, so everyone has something to eat. Wow, that’s a lot of people! That’s a good idea to have guests bring a dish. Looks like you have a plan for all occasions which is the best way to go with dietary restrictions. Planning is a huge help at the holidays! 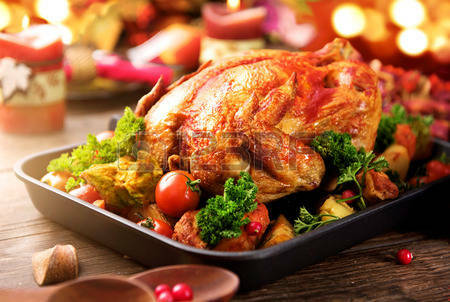 Everything looks perfectly planned for the Thanksgiving, It is good to see more options for all types of diets and not just the normal diets. Everyone needs more options for Thanksgiving and even the fast approaching holidays! I agree, Preet. The holidays can sneak up on you too, so hopefully this can help others plan easily. 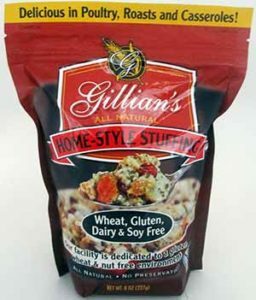 I don’t celebrate thanksgiving but I commend you for making it a fantastic holiday for those with food sensitivities, These all look like fantastic alternatives! Thank you! I hope others try these alternatives and enjoy them. This is perfect for people who are dealing with food allergies and all that, especially during this time of the year. It’s been a while since we hosted a Thanksgiving dinner party but I would love to take note of these! Thank you, AnnMarie. I hope a lot of people will find this helpful. We just had our Thanksgiving last October and ham was a big hit. Everything looks so good, it looks like you’ve everything covered. Happy Thanksgiving! Oh glad to know that there are options for a people who have a dietary restriction. Especially on an occasion, we should consider the people who have this restriction, Thanks for the tips. You’re welcome, Shubhada. When you’re preparing food for so many people, sometimes you don’t think about what others can and can’t have. We have a lot of allergies in my family, and a lot of them are very severe. Thank you for this list, it’s a big help! Alaina, I’m happy to know that this menu helped you! 🙂 Let me know if you try any of the dishes and what you think. 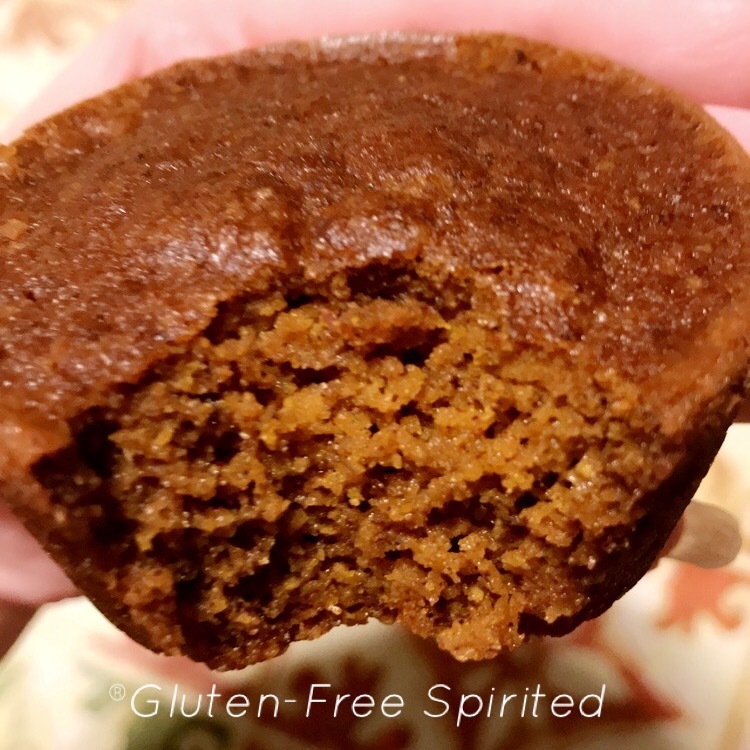 I have been seeing one of my friend who recently started sharing her gluten-free diet and these look perfect to share with her this Christmas. I hope your friend finds it helpful, Pooja! I love Thanksgiving! I’m so glad there are so many options available for dietary restrictions. There was a time that gluten free cooking was challenging. You found some delicious picks! I do too, Katie. Thank you! This was really interesting to read and helpful for those who need special diets. I needed to read this today. I was just talking to my husband about this, and how I wasn’t looking forward to the holidays bc of everything I couldn’t eat! Thena, I’m glad this helped you! I hope you find some dishes you can have! That pumpkin cheesecake is calling my name. My god!!! all your food list looks so delightful and healthy. I will definitely add this to my list. Glad you shared this. 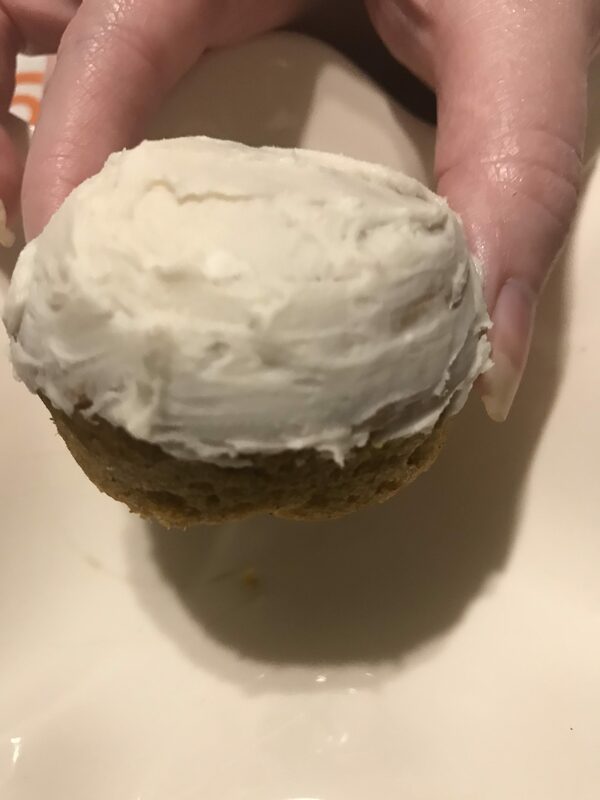 My sister has been dying to try the pumpkin cheezecake. We’re going to try to get it within the next few days to make sure she has it for Thanksgiving. I’m glad you found this helpful! I haven’t started planning on Thanksgiving menu this year yet. Your post will help me planning. I really love this post. I don’t have dietary restrictions, and I can’t even imagine how hard it must be on days like that. Thanks, Stacie. It can be rough, especially when people are new to dealing with dietary restrictions. What a great and tempting post! We don’t have thanksgiving in Italy, but I wish we did! That’s so true! My sister says all the time that she doesn’t know what she would’ve done if she was diagnosed as a kid because there wasn’t nearly the same types of food or awareness then. I’m glad that there are more options for anyone that has eliminated food for whatever reason. Such great suggestions for dietary restrictions options! I will certainly try a few this holiday season! Everything looks so yummy, I will have to try these recipes so everyone can enjoy a huge holiday meal! Yum! I really love Thanksgiving foods. They definitely take me back to somewhere cozy and happy. Me too. We are more ham eaters than turkey eaters, so our Thanksgiving menu is pretty similar to our Christmas menu. I’d really love thanksgiving foods and your dishes looks really delicious and tempting. Your visitors would love that for sure. those are really fantastic tips , and looks like you have whole thanksgiving covered to a tee ! Thank you, Pati! We tried to cover everything in a typical Thanksgiving dinner. Wow, I love this cake recipe it is so delicious and look so easy to prepare. I will def try to make this for the whole family. This is such a great post and very informative as well. We should always keep this in mind for the upcoming thanksgiving event. Thank you for sharing this. It definitely can be stressful, so I hope this guide can make it easier. Happy Thanksgiving! We’ve found so many good options that we wanted to share!